We believe in taking the well to the thirsty rather than call a thirsty to the well. Unlike other education brands who only caters to urban locations, ITRC does not differentiate between urban and rural entrepreneurs. 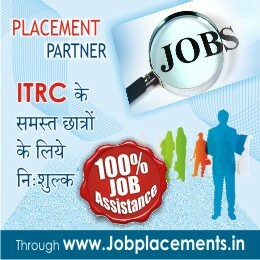 In fact most of ITRC centers are located in rural parts. We don’t just take our business as profit earning tool, on the contrary ITRC aims at spreading the knowledge and develop skills amongst the youth to make them employable irrespective of their caste, creed or location. The ever expanding education network of ITRC plans to reach the remotest corner targeting the rural areas for educating the under privileged children's and to provide then affordable high quality education using its franchising education network.